Copyright Ⓒ 2019. Powered by Blogger. 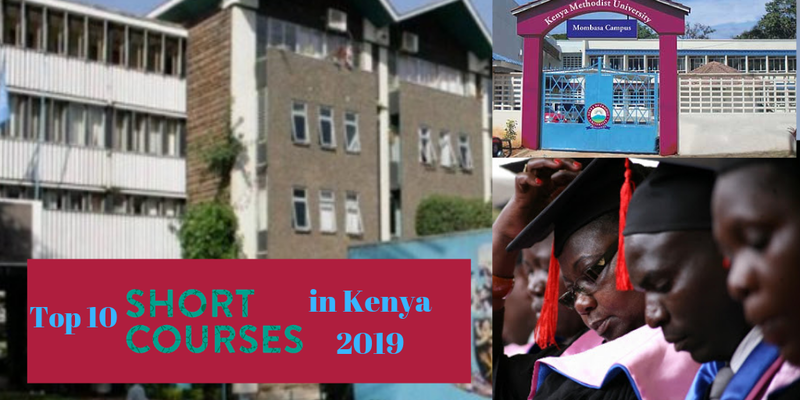 Marketable short courses: High demand certificate courses in Kenya 2019. There are numerous certificates courses that one can pursue colleges in Kenya. It is good to take your time and find most relevant and marketable courses to do order to are key to driving Kenyan economy .Therefore, choosing the right course is be get value from them. Nowadays, Certificates courses are in high demand and important. In this article I  have highlighted 10 most marketable courses that seems to be dominating the Kenyan job’s market. This is a part of CISCO short courses and in the field of Computer Sciences. certificate. You can get a job in Technology Company as well big deal nowadays in Kenya and demand increasing due to emerging of the hackers as in media as well. With internet demand in many home and offices, CCNA is a high demand in Kenya. Home and Enterprise need to protect their data and information from theft which make CISA ideal short causes. 16 months and below depending on modules you choose to pursue. Company  in Kenya that does not recognize their certificates. Integrated Soil health and Fertility management. Those are two courses for those interested in the Field agricultures and Forestry. The demand cannot be underestimated at all. Agriculture officers are inadequate with government trying to curb food insecurity, it make sense to say that there is demand for extension offers in this filed. These are what we call field when you complete the course. These courses can be done major campuses and oriented and very practical in nature. You study what you will directly apply college   in Kenya. Mainstream media as old field and there are others emerging fields due to technology advancements. This is one of the best courses in the field of applied sciences. The course on the requirement to for startup in this filed as well as for career purpose. It is wildly offered in many institutions in Kenya including Kenyatta University and requirements are friendly. You will get a job in fashion industries as well as in manufacturing or tailoring companies. You can also gain the necessary skills to start your own business. Institute (KNDI) which is a recognized institution and many others. You get a job in health related fields in Kenya and East Africa. Colleges and Universities in Kenya. If you are interested in Working in this   field here are many short causes you can take. All the above certificates are enough to secure you a good job in Kenya. time.short course. I wish you all the best in your endeavors. For more information and suggestion leave us a comment and we will get back to you in the right. If do have experience in any of the above courses, please share with us on our comment section. The CS condemn the letter that is going around social media as fake and should be treated with the contempt it deserves. He went ahead and asked the DCI Kinoti to investigate the source of that letter via his Twitter account on Friday, April 5. Agriculture Cabinet Secretary said that he has not resigned from the position and termed the letter as fake news. 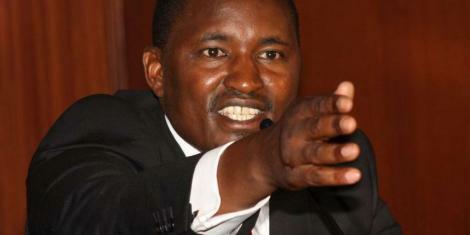 Recently the CS has been faced with several graft claims in agriculture docket. The letter that claims that the CS has resigned started to circulate immediately President Uhuru Kenyatta released the speech on corruption yesterday on the State of the Nation. This letter circulating on social media has taken many in surprise as it aimed to show president reaction on the war on corruption. Here is the CS Twitter post. "My attention has been drawn to a FAKE letter circulating in the social media purporting that I have resigned. Treat it with the CONTEMPT it deserves.
. It is the work of a DESPERATE person who for reasons known to himself, would go to the lengths of forging and posting a letter of this kind. I have asked @DCI_Kenya to investigate and take the necessary action." In this article, I highlighted 4 Main Real Estates Telegram Groups in Kenya. There are many real estate’s telegram groups in Kenya where you can find people selling and buying properties, lands, and apartments in Kenya especially Nairobi. In those telegram groups, you will find real estate’s agents and managers who can help you manage your property, sell it or buy on. They can also suggest the currents prices of land to help you make a better decision before you choose to buy properties. Meet people who are looking for lands and properties in this telegram groups in Kenya. They have done Houses Projects Designs and Construction such as Real estate’s management of Greenville Housing Estate, Syokimau. Residential House, Chuna Estate, Kitengela. Naivas Building, Outer Ring road, Nairobi Nomad Hotel, Kitengela Butterfly Warehouse Park, Ruiru Kitengela EPZ Apartment Juja Apartment. Athi River Apartment Syokimau Apartment. Here you will find Clients looking for a Manager with experience in real estate management. 3. Real estate telegram group in Kenya. If you join this telegram group, you should be looking for either the latest jobs or offering a job in this field. You will also discuss internships, scholarships and real estate’s tenders it is one the most updated telegram group in Kenya. This is a telegram group for those looking for houses and real estate agents. Join and follow the conversation. Note, most groups have more than one topic but related to real estates. Search "@RealEstatesKenya" in your telegram app. 7 PRODUCTIVE THINGS YOU CAN DO IN YOUR FREE TIME TO BETTER YOUR LIFE. There are a lot of productive things we can do with our free time than watching TV, chatting on social media, and hugging out with the so-called bad-influence friends and so on. Most of us have not been able to utilize effectively the time we have and that’s why we have differences in life achievements. If you are that person who always on the lookout for productive ways to spend your free time this post will help you. Spending your time well can help you grow financially, emotionally, achieve your goals and better your personality. Starting a side hustle is the best way to make good use of your time. You will not believe how much money you can save or earn with aside hustle. Employed or not, side hustles are the engine that has been fueling most of Nairobians. Those in employment will tell you that relying on the job alone will not only make you vulnerable to economic shocks but reduces or limit your chances of financial success. There is a lot of free time in people with full-time jobs and university students. Use the extra cash to sell shoes, clothes online or use your social media to market Jumia products and get commissions. Start a movie shop and so on.T he list is endless folks. Stop wasting time.T he best time to make upon your life is now. There are a lot of things you can during your free time. Most of our houses are full of shoes, clothes, broken iron boxes and other household’s items leaving little or no room for movement- packed. This is not helpful for our ever diminishing spaces in our houses. Those who live in a bedsitters/one bedroom know what is saying. Now how do you increase space and add value in your apartment? There are a number of ways you can solve this; for electronics, you can sell them online such sites such as olx, used\smaller-than-your clothes you can give them to children’ homes or exchange them with usable household’s items such as basins and buckets. There those people “mali-mali” move from estate to another collecting those things. Instead of having something that you are not using occupying all your space and making your house untidy, why don’t you exchange with something usable? Today you can learn anything using your phone. There are a million tutorials on YouTube teaching people May creative things. You can take advantage of the internet and learn a skill or try a new hobby. Do something productive. Learn how to make house marts. Learn the art of creative arts. You can make money through these simple skills are also enjoyable to do. This saves you time and makes you some income with little or no effort. Reading develops your mind. It improves your understanding and strengthens your decision-making abilities. It is through reading ‘like you are doing now' that you learn new ideas and how to implement them to improve your life. Reading habit will make you reason better and look smart.Research has shown that people who read have a better life than those who spend most of their free time watching TVs or on social media. It has also revealed the stress rate associated with spending too much time on social media. Even the effects of insomnia can be solved by reading a book. There is pleasure, joy and a sense of fulfillment when you volunteer to do soothing. The act alone ‘to do something without expecting payment’ make you feel great. Visit the children’s home and offer to do some task. The little thing you do make you feel appreciated even if you did not give them something tangible. Learn to leave a positive impact on your community, little help could mean a lot to them. This is one of my refreshing activities. Instead of watching TV the whole day, go out and enlighten someone’s face. If you exercise regularly, you can improve your health and reduce the risk of developing several lifestyles diseases. Today disease such as diabetes, cardiovascular and cancer has no age. They can attack everyone learns how to do exercise even if it means a morning yoga in your room. It will save your health. Excises should be a priority to boost your energy and improve your alertness as well. I know there is a temptation to spend our time in less productive activities like watching TV, movies and chatting on social media. 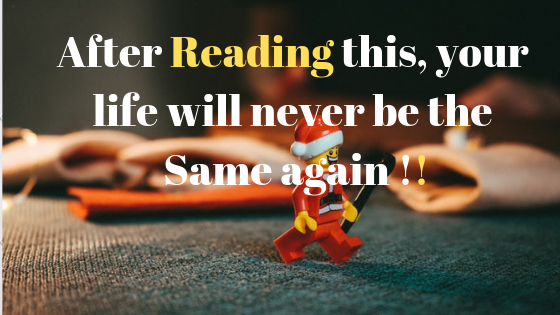 But it is also good to try and resist the urge related to social media known as (FOMO).You will be glad in what you can achieve in your life if you spend your time well. Express your thought about this topic in our comment section and make sure to Share this post. Nairobi city has been ranked among the most expensive cities to live in by the Economist Intelligence Units Survey(EIU). The cost of living has skyrocketed up to 13 positions from last year(2018). Nairobi has been placed 69th position worldwide. Cairo and Lagos ware among the top least expensive cities to live in Africa. Singapore, Hong Kong, and Paris top the list of the most expensive cities to live in (Worldwide). The following are the factors that contributed to the above results. 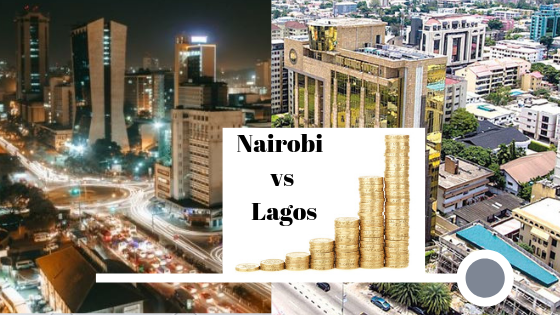 The cost of living for Nairobi is not getting any better according to this survey. Goods and services have become more expensive compared to the last 2 years. These mainly affect our food, drinks, clothing, school fees, and household assets. Devolution was termed as a major factor affecting the cost of living. This saw many cities' economy going down with the decreased prices of local goods and services. Kenyan shilling strengthened against the US dollar. Inflation is a sustained increase in the general price level of goods and services in an economy over a period of time. This lead to a low dollar to shillings conversion hence less money for the visitors and business travelers. Kenya is the only African country where the dollar strengthened against the US dollar as per the survey. According to EIU, Nairobians experiences high physical hardship in their daily work, low salaries, and an unhealthy environment. Bellow is the summary 10 African Cities that were termed as the most expensive by the survey. Please feel free to ask any question regarding the material on this site. If you would like to talk to us via social media, you can do so through our twitter handle or our Facebook page....thank for visiting this site.